Mix ground beef, oats, salad dressing, egg, salt and pepper. Shape mixture into 4 patties about 3/4 inch thick. Brown patties in 10-inch skillet over medium heat; drain. 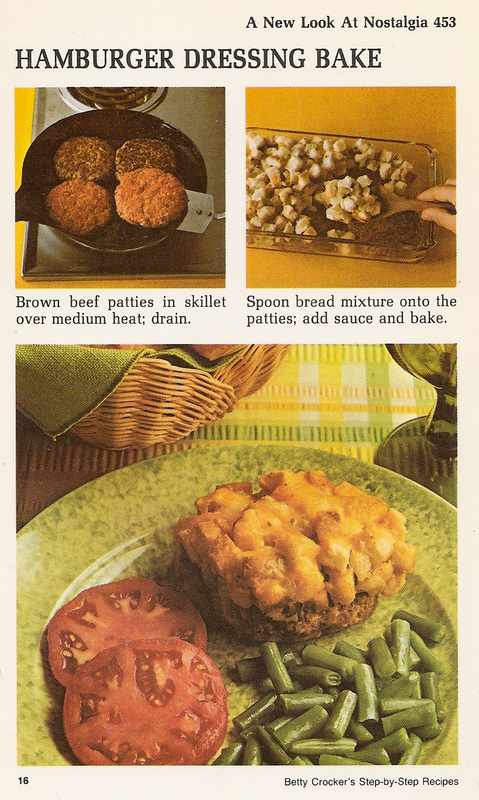 Place patties in ungreased baking dish. 10 x 6 x 1 3/4 inches or 11 3/4 x 7 1/2 x 1 3/4 inches. Heat oven to 350°. Heat butter in skillet until melted. Cook and stir onion and celery in butter until onion is tender, about 3 minutes. Remove from heat. Stir in about 1/3 of the bread cubes. Add remaining bread cubes, 1/2 cup water and sage; toss. Spoon bread mixture onto patties. Heat soup and 1/2 cup water in skillet until hot; pour on bread mixture. Bake uncovered until top is golden and bubbly, about 40 minutes. 4 servings.